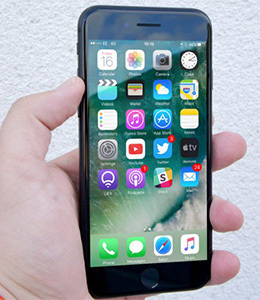 If you are a regular iPhone user, then you must know how risky an iOS update can be at times. 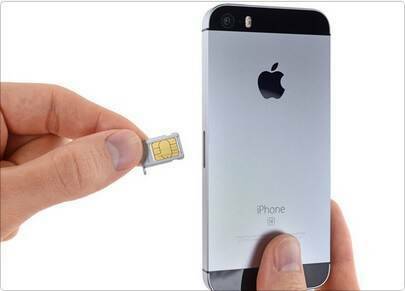 If you are lucky, then you would be able to update your phone to a new iOS version without any drastic consequences. Though, a lot of users also complain about lost data after iOS 12 update as well. The good news is that by taking the assistance of an iOS 12 data recovery tool, you can easily get your lost or inaccessible data back. I’m going to make you familiar with 5 different ways to do it right here. Part 1. How to recover deleted iPhone data on iOS 12 without backup? Part 2. How to recover iPhone data on iOS 12 from iTunes backup? Part 3. How to recover iPhone data on iOS 12 from iCloud backup? If you haven’t taken a backup of your device already, then you need to perform iOS 12 data recovery by using a dedicated tool. 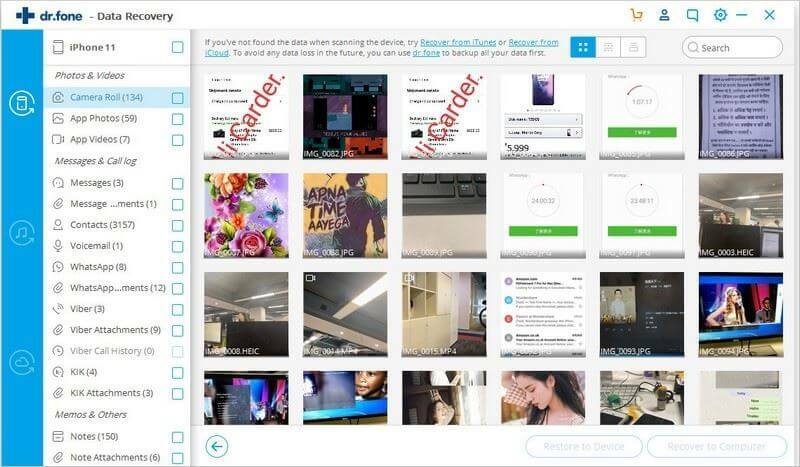 One of the best iPhone data recovery tools that you can try is iSkysoft Toolbox - iOS Data Recovery. 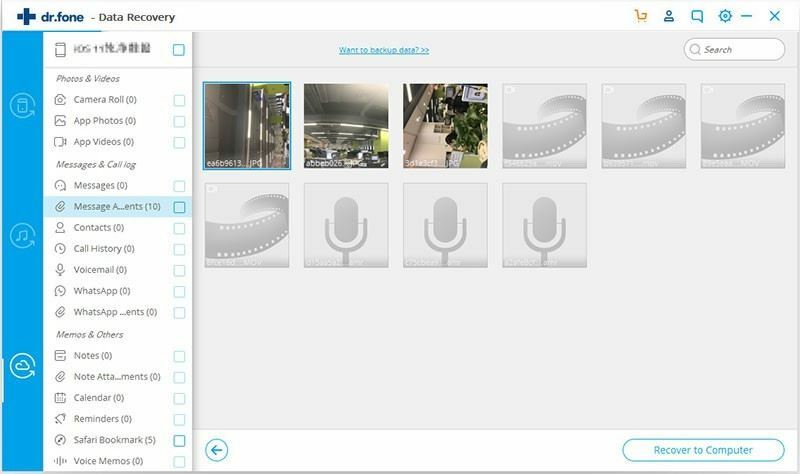 It features 3 professional data recovery modes that will scan all kinds of lost and inaccessible content from your phone. Furthermore, it will provide a preview of your data so that you can retrieve it selectively. 1. To start with, make sure that your Mac or Windows PC has an updated version of iTunes installed. If not, go to its menu and check for the latest update. 2. Also, go to iTunes Device Preferences (from its menu) and turn on the “Prevent iPods, iPhones, and iPads from syncing automatically” option. Once it is done, shut down iTunes from your system. 3. Now, launch the iSkysoft Toolbox on your computer. If you don’t have it installed, then visit its official website and download it on your Mac or Windows PC. From its welcome screen, go to the “Data Recovery” option. 4. Using an authentic cable, connect your iOS device to the system and make sure that you trust the computer. It will automatically be detected by the application in a bit. 5. By default, the application will display the option to recover data from an iOS device. If you want, you can switch between the 3 recovery options from the left panel. 6. On the right, you can select the type of data that you wish to scan on your device. For instance, if you wish to retrieve lost contacts after iOS 11 update, then enable the “Contacts” option. You can scan for the existing data, deleted content, or both. 7. After making the appropriate selections, click on the “Start Scan” button. 8. 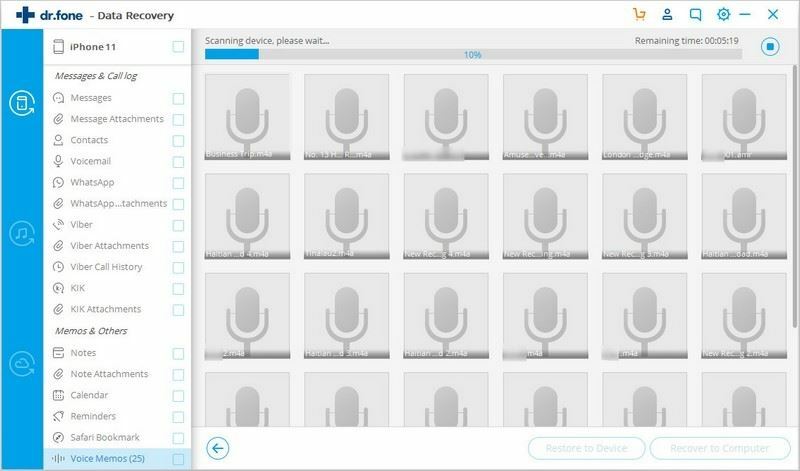 Sit back and wait for a while as the application would scan for all kinds of lost and inaccessible data on your device. You can see its progress from an on-screen indicator. If you want, you can hit the pause button anytime you want. 9. Once the scan is completed, you will be notified. Now, you can preview your data as it would be segregated into different categories. You can visit any section, choose to view only deleted content, or look for a respective file from the search bar as well. 10. In this way, you can select the data that you wish to restore. You can choose an entire folder as well. To complete iOS 12 data recovery, select the respective content and click on the “Restore” button. 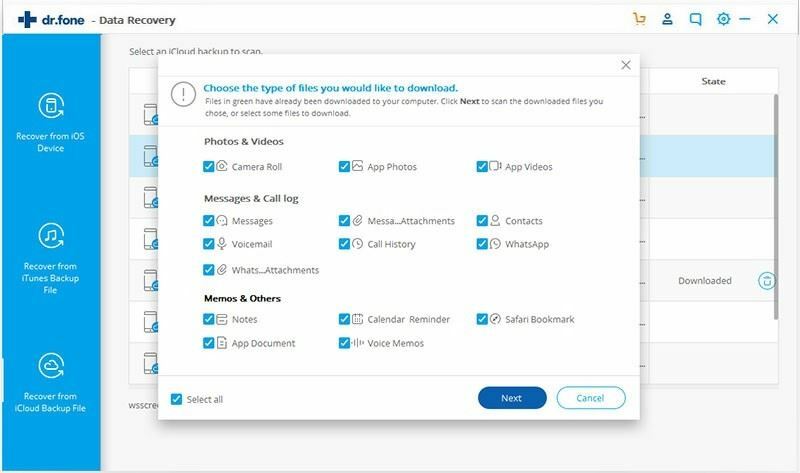 You can restore the selected content on your computer or directly to your phone (depending on the data type). 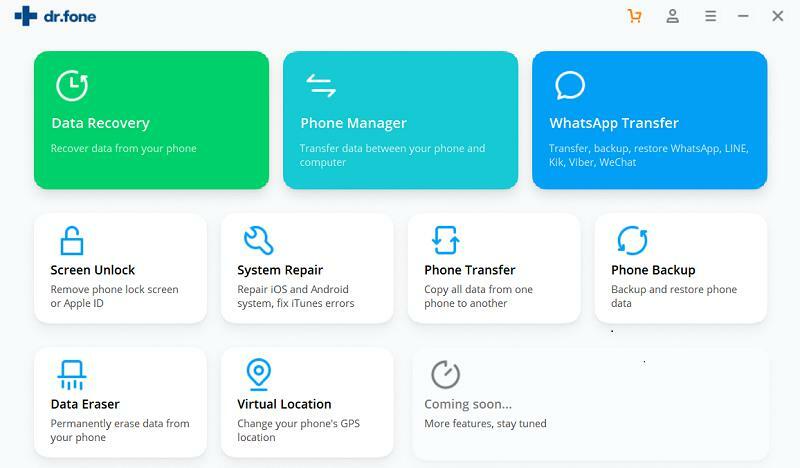 In this way, you would be able to retrieve all the lost data after iOS 12 update without any hassle. 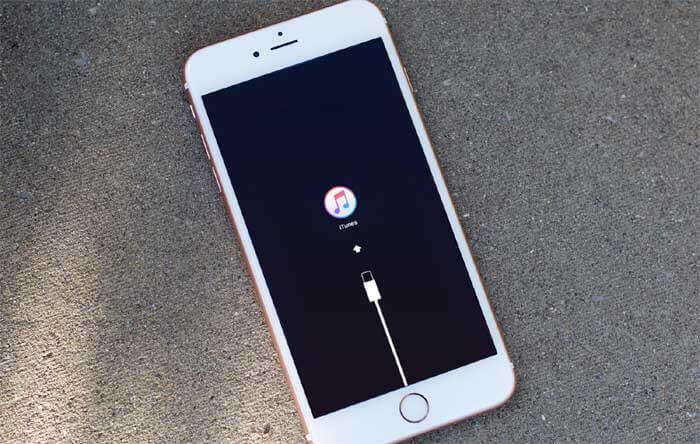 If you have already taken a backup of your data on iTunes, then you won’t face any trouble to restore the lost data after iOS 12 update. Ideally, there are two ways to perform iOS 12 data recovery from an iTunes backup. You can use a third-party tool to perform a selective recovery or use iTunes to entirely restore your device. By taking the assistance of iSkysoft Toolbox – iOS Data Recovery, you can easily restore data from an existing iTunes backup selectively. 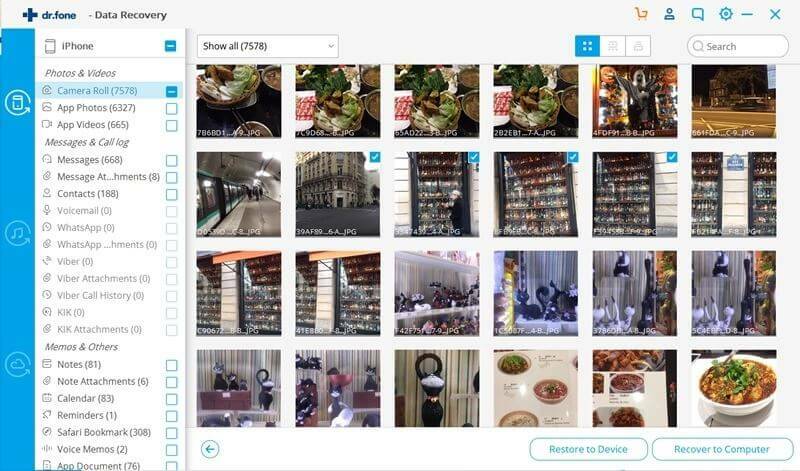 It will extract the previously taken backup and let you pick the content that you wish to retrieve. 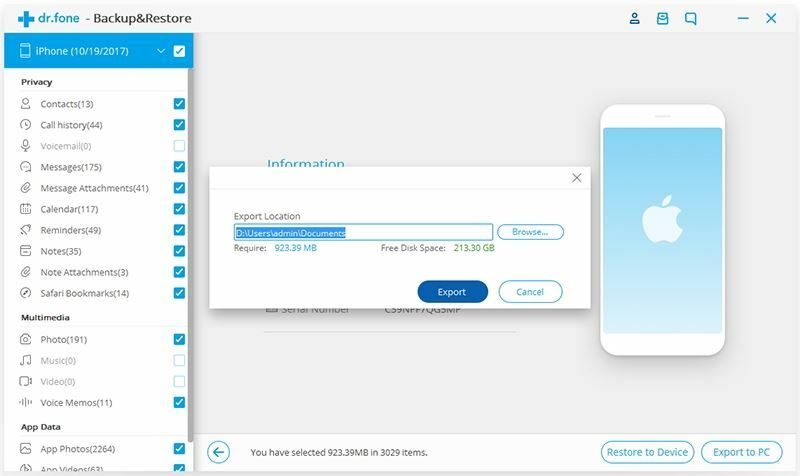 During the iOS 12 data recovery process, the existing data on your device won’t be deleted. 1. Firstly, launch the iSkysoft Toolbox on your Windows or Mac and from its home, go to the “Data Recovery” module. 2. From all the options provided on the left panel, select “Recover from iTunes backup file”. 3. This will display a list of all the existing iTunes backup files that are already saved on your device. You can also view their details and select the backup file of your choice. Click on the “Start Scan” button to load its content. 4. In no time, the application will load its data and display it into different categories. You can visit any category and preview your data from here. 5. Select the content that you wish to retrieve back from the iTunes backup and export it to your system. You can also select the location to save this data from the following pop-up. If you want, you can retrieve lost data after iOS 12 update from an iTunes backup directly to your device as well. 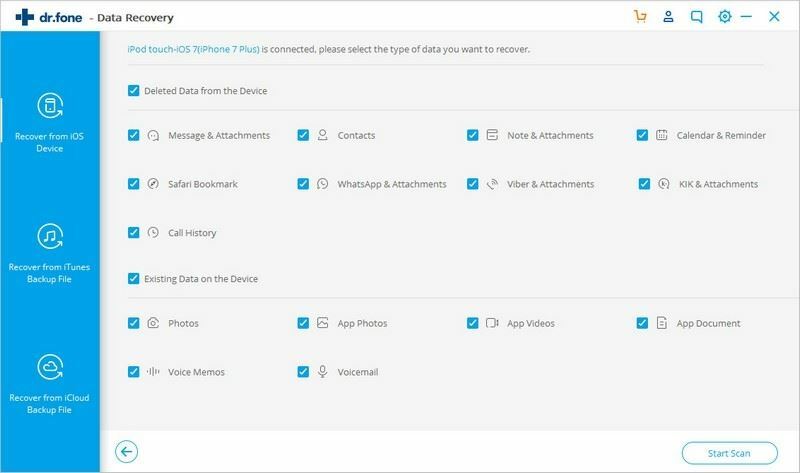 To do this, you need to first connect your device to the system before you start the iOS 12 data recovery process. The application allows us to restore contacts, text messages, and notes directly to an iOS device. •	The existing data on your iOS device will be deleted since the process will entirely restore your device. That is, it will replace the new data with the iTunes backup. •	You would have to restore the entire iTunes backup file. Unlike iSkysoft Toolbox, you can’t have a preview of the backup content or choose to selectively restore your data. If you are ready to take this risk, then you can get your lost data after iOS 12 update by following this simple drill. 1. Launch an updated version of iTunes on your system. 2. Using an authentic cable, connect your iOS device to the system. It will be automatically be detected by iTunes. 3. Select your device and go to its Summary tab. Under the “Backups” section, click on the “Restore Backup” button. 4. This will display the following pop-up from where you can select the backup file to load. 5. Click on the “Restore” button and wait for a while as the backup content would be restored to your device. While the technique is quite straightforward, it is mostly not recommended due to its drawbacks. Also, users often face compatibility issues with iTunes backup file and the device. To overcome these issues, you can use a dedicated iOS 12 data recovery tool like iSkysoft Toolbox – iOS Data Recovery. Just like iTunes, iSkysoft Toolbox – iOS Data Recovery can also be used to restore data from an iCloud backup as well. There is a dedicated module in the application that can help us do the same. You can download the iCloud backup first, load it, and then selectively restore it to your device. The other way to do this is by using your phone’s native feature, which comes with a major drawback. Needless to say, both of the solutions will only work if you have already taken a backup of your data on iCloud in advance. Let’s know more about these iOS 12 data recovery methods in detail. 1. Launch the iSkysoft Toolbox and select the Data Recovery module from its welcome screen. 2. From the left panel, click on the “Recover from iCloud backup file” feature. 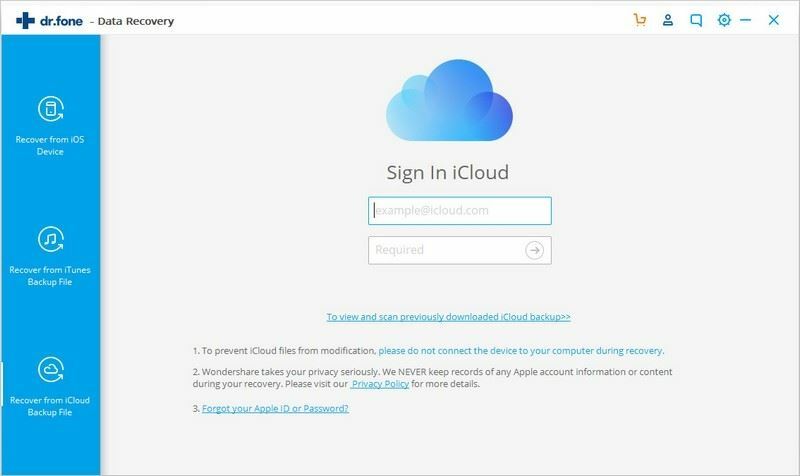 On the right panel, you will be asked to log-in to your iCloud account. Make sure you provide the credentials of the account where the backup is stored. 3. 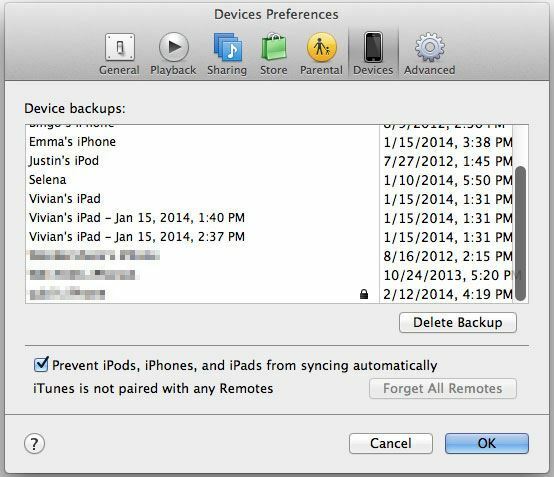 Once you successfully log-in to your iCloud account, a list of all the saved backup files will be displayed. You can get to know about the file from its details and click on the “Download” button to load its content. 4. As soon as you would click on the “Download” button, the following pop-up window will appear. To save the downloading time, you can simply select the type of content that you wish to retrieve. After making the appropriate selections, click on the “Next” button. 5. 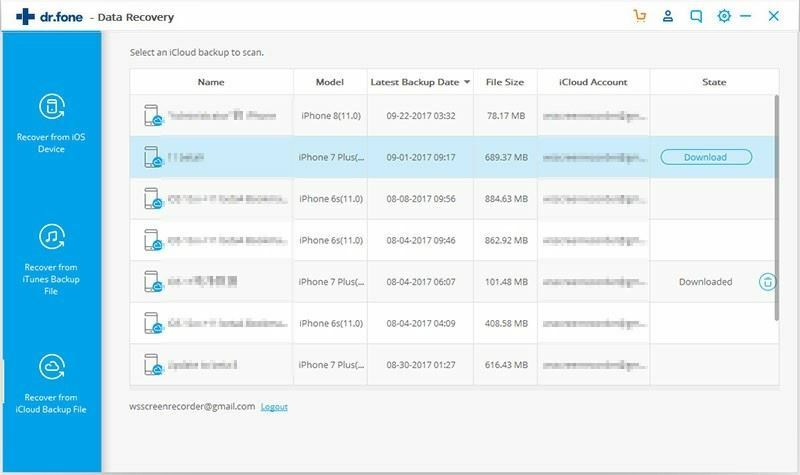 Wait for a while as the application would load the downloaded data from the chosen iCloud backup and display it in different categories. 6. You can simply preview the retrieved data from here and select the files you wish to restore. Afterward, you can export the selected data to a known location. 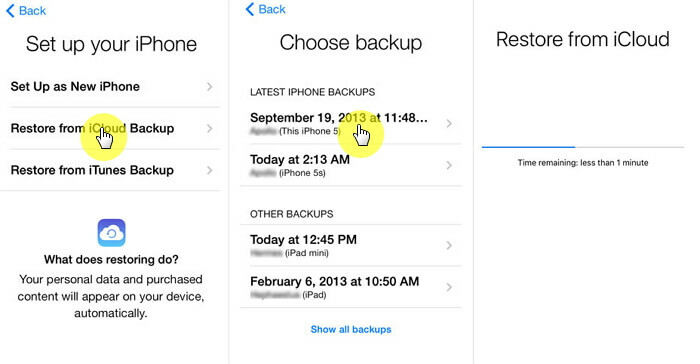 •	To get an option to restore an iCloud backup, you need to factory reset your iPhone first. This will erase all the saved data and settings from it. •	The entire iCloud backup content would be restored to your device. You can’t selectively restore certain content without experiencing the existing data loss. 1. Firstly, you need to reset your device. To do this, go to its Settings > General > Reset and tap on “Erase All Content and Settings”. 2. 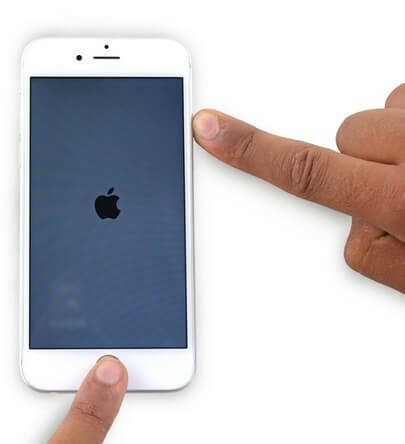 Confirm your choice by entering the passcode of your device and let your phone be restarted. 3. While setting up a new device, choose to restore it from an iCloud backup. 4. Log-in to your iCloud account and select the backup file of your choice. 5. Wait for a while as your phone would restore the content of the iCloud backup. Just make sure you have a stable internet connection to complete the downloading of the backup. I’m sure that after following these techniques, you would easily be able to retrieve your lost data after iOS 12 update. If you wish to perform a complete iOS 12 data recovery like a pro, then simply give iSkysoft Toolbox – iOS Data Recovery a try. It provides three different ways to recover your data. You can selectively restore an existing iTunes or iCloud backup without any data loss. If you want, you can even perform an extensive recovery operation if you haven’t taken a backup as well.